What roles can forests, trees and agroforestry play? What are the research perspectives? Organized by the CGIAR Research Program on Forests, Trees and Agroforestry (FTA) and the Environmental Change Institute – University of Oxford, this event in Bogor, Indonesia, looked at enhancing food system resilience in terms of the roles of forests, trees and agroforestry, as well as perspectives for research. The event featured a keynote on enhancing food system resilience from John Ingram, before presentations on the importance of forests, trees and agroforestry for food security and nutrition through a food systems approach from Terry Sunderland, Stepha McMullin and Amy Ickowitz, and a Q&A session. Vincent Gitz has been director of FTA since 2016. An engineering graduate of École Polytechnique in France, he also holds a PhD from AgroParisTech on land-use and global climate policies that was awarded the Le Monde Prize for academic research. He has a background in earth sciences and natural resource and development economics. Vincent previously worked in research for the International Research Center on Environment and Development (CIRED) and the Agricultural Research Center for International Development (CIRAD) in policy-making, and at the interface between the two. He served as adviser for sustainable development and research to the French minister of agriculture and fisheries, Michel Barnier, from 2007 to 2009, and as assistant director for food policy at the French Ministry of Agriculture, Agrifood and Forests in 2016. From 2010 to 2015, he was coordinator of the HLPE, the science-policy interface of the United Nations’ Committee on World Food Security (CFS). John’s interests are in the conceptual framing of food systems; the interactions among the many actors involved and their varied activities, and the outcomes of their activities for food security, livelihoods and environment; and food system resilience. John has designed and led regional food system research projects in Europe, south Asia, southern Africa and the Caribbean and has conceived, developed and led a range of major international research initiatives. He has had substantial interaction with the Food and Agriculture Organization of the United Nations (FAO), UN Environment Program (UNEP), CGIAR and many other international organizations, with national departments and agencies, with NGOs, and with businesses in the food sector. In these interactions he has helped to establish research on the links between food security and environment through the analysis of food systems. 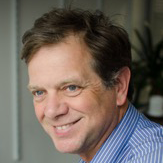 In addition to leading the food system research group within ECI, he also leads the multi-university post-graduate food systems training program (IFSTAL) and coordinates the £14.5m UK Global Food Security program Resilience of the UK Food System. He is an Associate Professor and Senior Research Fellow at Somerville College Oxford. One of the great human achievements over the last half century is that advances in food production have largely kept pace with demand on a global basis. Today, around 6 billion people are not hungry, up from about 2 billion 50 years ago. But we should not be complacent. Despite these successes, nearly 1 billion people are still hungry, and at least 3 billion more lack sufficient nutrients. Paradoxically, there are also already more than 2.5 billion people overweight or obese; different, overlapping forms of malnutrition are the ‘new normal’. We also know that current food system activities will continue to significantly impact natural resources, and that environmental and socioeconomic shocks and stresses are increasing. How then can food system resilience be enhanced to (i) ensure sufficient, nutritious food for a growing, increasingly wealthy population while (ii) mitigating poor health and environmental outcomes, and (iii) also enhancing vibrant enterprise and livelihoods? Based on a brief introduction to food system challenges, the presentation will consider plausible future food demand and the consequences for health, society and environment. It will then consider the nature of shocks and stresses, concluding with considerations relating to enhancing food system resilience. Professor Terry Sunderland has over 25 years of tropical forestry experience, and mobilizes a history of partnership building in other contexts to serve in a leadership capacity for this project. His early academic career showed a gradual transition from a focus on botany towards the social sciences, with demonstration of academic excellence along the way.He first obtained a technical diploma in Horticulture (with honors) from the Royal Botanic Gardens at Kew. He then completed an MSc degree at the University of Oxford and subsequently completed his PhD at University College, London in Anthropology and Botany, in association with the Royal Botanic Gardens, Kew, and then continued on to a postdoctoral fellowship in Anthropology at University College, London. This academic path, combined with his subsequent research, has positioned him as an expert in both the biology and the human dimensions of tropical forests. In 2006 he moved to CIFOR, based in Indonesia and originally led the center’s research theme on landscape management for environmental services, biodiversity conservation and livelihoods. In the last five years of his tenure at CIFOR he led the development of a program of work on forests and food security that evolved into the research theme Sustainable Landscapes and Food Systems. Dr. Sunderland is a highly published scientist, having authored 13 books, 126 peer-reviewed publications, and 106 book chapters, working papers and briefs. He has also mentored many young professionals and has supervised or co-supervised 32 graduate students. He has a strong record of establishing meaningful and productive partnerships and collaborations, particularly with developing country individuals and institutions. 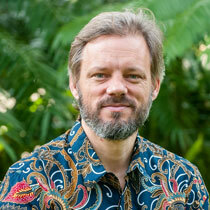 In the time he was at CIFOR he contributed to raising almost $60 million dollars in research funding. 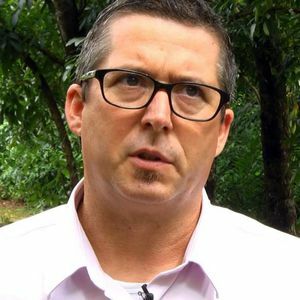 In January 2018, he was appointed as a Professor in the Department of Forest and Conservation Sciences in the Faculty of Forestry at the University of British Columbia to coordinate a program on tropical forestry. 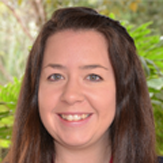 Stepha McMullin is a Social Scientist with ICRAF based in Nairobi, Kenya, where she leads research on the contribution of agroforestry for delivering more nutritious foods and addressing food seasonality for healthier and more sustainable diets. With her team, she implements participatory research (quantitative and qualitative) to inform data gaps on food production and consumption, quality of diets and dietary gaps, and food choices, to identify suitable agroecological recommendations for optimizing local food systems. Stepha has 12 years’ experience undertaking research predominantly in East and Southern Africa with travel to other regions for expert meetings, stakeholder workshops and conferences. Stepha holds a PhD in Rural Development and MSc in International Development from University College Dublin, Ireland. ICRAF has developed a food tree and crop portfolio approach to enhance the diversity and seasonal availability of nutritious foods in local food systems. The portfolios are site-specific combinations of indigenous and exotic food tree species with complementary vegetables, pulses and staple crops, that potentially can provide year-round harvest of nutritious foods. In addition to ﬁlling harvest gaps, certain nutrient gaps are addressed by mapping the nutritional value of selected species using food composition data. This data plays a key role in linking agriculture to nutrition, particularly the nutrient composition of indigenous and underutilized species, for which such information is often lacking. The portfolios represent a sustainable food-based approach to address micronutrient deﬁciencies by promoting nutrient dense foods in the diets of rural and urban consumers. The portfolios have been developed in 15 sites across East Africa. 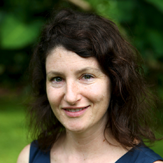 Amy is a senior scientist at CIFOR where she leads the Sustainable Landscapes and Food Systems team. She has a PhD in development and natural resource economics from the University of California, Riverside, but most of her recent research is multidisciplinary. Her current research focuses on the impacts of landscape change on food security and nutrition. Forests, trees, and multifunctional landscapes interact with diets in complex ways. Much recent attention has focused on the impact that global diets have on vegetation and forests, but the natural environment and the configuration of production landscapes also affect local diets. In this webinar, we will discuss some examples of how changing landscapes are affecting local diets and some implications for policies. 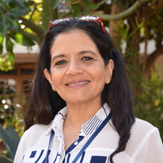 Ramni H. Jamnadass is World Agroforestry’s (ICRAF) Global Theme Leader for TREEs – Tree Productivity and Diversity (realizing socioeconomic and ecological value from trees of different functions i.e. food and nutrition, timber, medicinals). The African Orphan Crops Consortium, a public private partnership with a mission to develop and promote use of nutritious tree-foods and annual crops, has its genomics lab hosted within this program.